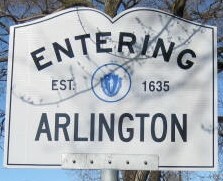 To change your various list options, visit http://www.arlingtonlist.org/options.htm. In the text box at the bottom, enter your e-mail address under which you are currently subscribed, and press the "Unsubscribe or edit options" button. On the page that appears next, enter your list password and press "Log in". (This page might get skipped, if your browser has remembered your log in). On the next page will be your options page, the first option is "Mail Delivery", change that option to "Disable" to stop receiving messages. Change back to "Enable" to resume getting messages.